This exhibition shows two artists, sculptor Clare Bigger and painter Julia Brooker, who both work with metal. 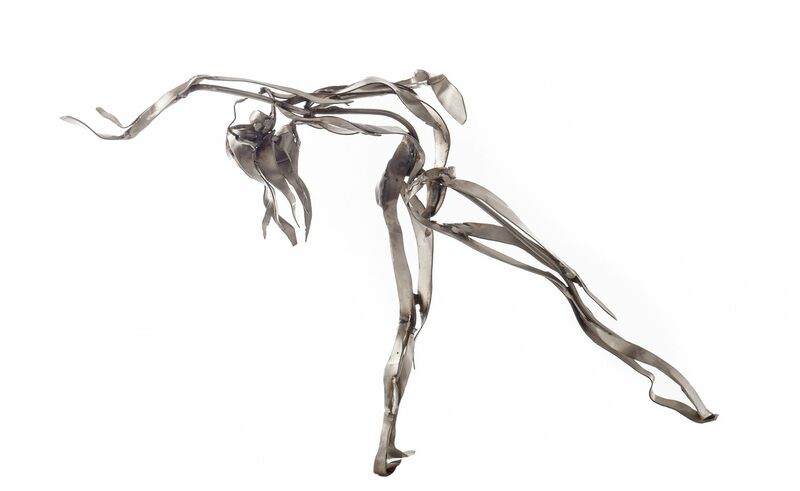 Clare Bigger is a figurative sculptor working in stainless steel. Her subjects, ranging from birds, cats and horses to dancers and gymnasts, each perfectly capture the energy of the subject and depict a movement – such as a cat pouncing or an athletic movement of a gymnast. The wonder of her works is that these forms and their movements are so fantastically captured not just within the stainless steel sections, but as much by the space left surrounding it. This minimalist use of detail leaves the viewer to complete the image themselves, giving her work a wonderfully universal appeal. 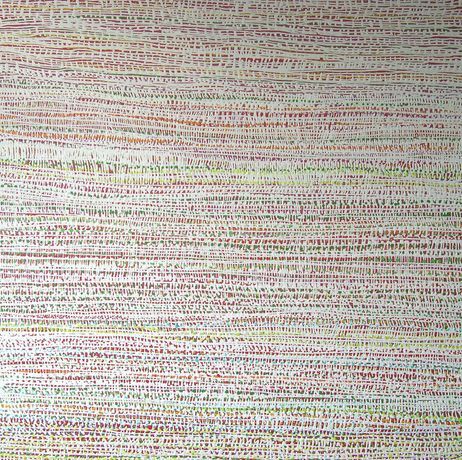 Julia Brooker is an abstract painter working solely on aluminium, seduced by the way it reflects light off its surface through veils of transparent colour. She revels in the sumptuousness of paint as it sits on the cool surface of the metal. Brooker’s pieces draw on simple pleasures, and a love of colour within all materials. She studied ceramics before becoming a painter and here found a love of luscious crystalline glazed surfaces like cake icing on coarse clay. 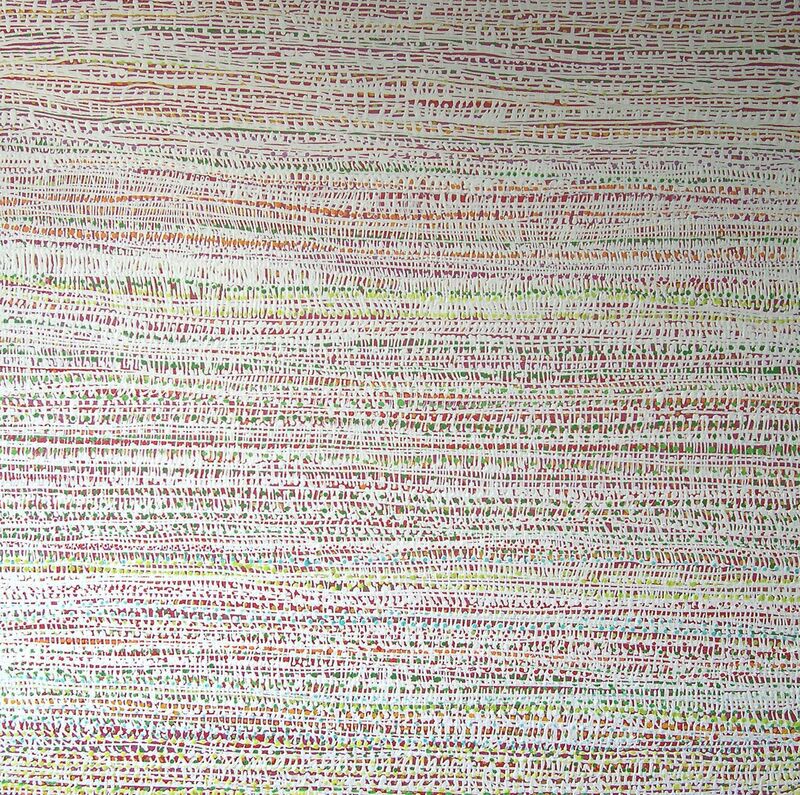 These qualities are reflected in the surface qualities of her work, and often demonstrated by how people often wish to touch the paintings to see how they feel. Julia Brooker graduated with a first class degree from Cheltenham in 2000, she has since set up her studio in Cardiff, Wales. She has shown throughout the UK and internationally, and has numerous works in private and corporate collections including Odgers Berndtson and Institute of Chartered Accountants among many others.